I can’t believe how fast Summer came and how quickly it is coming to an end. That is just around the corner! So as you can guess back to school days are back on my mind. 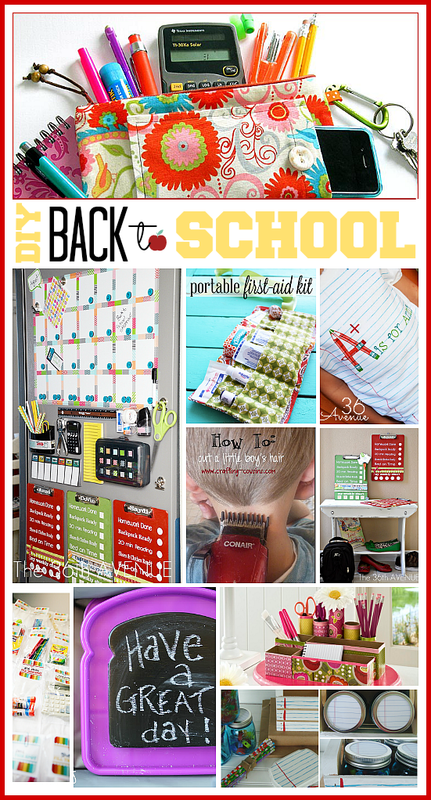 Today I am sharing 10 of the best Back to School Ideas that I have found around. 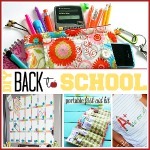 Zippered Pencil and School Supplies Case at Sew 4 Home. I love this case for kids and teachers. The pocket for the phone is a plus and the tutorial is simply awesome! This projects is awesome since this desk organizer is made from cereal boxes and toilet paper rolls. Mason Jar Caddies at Shaken Together. 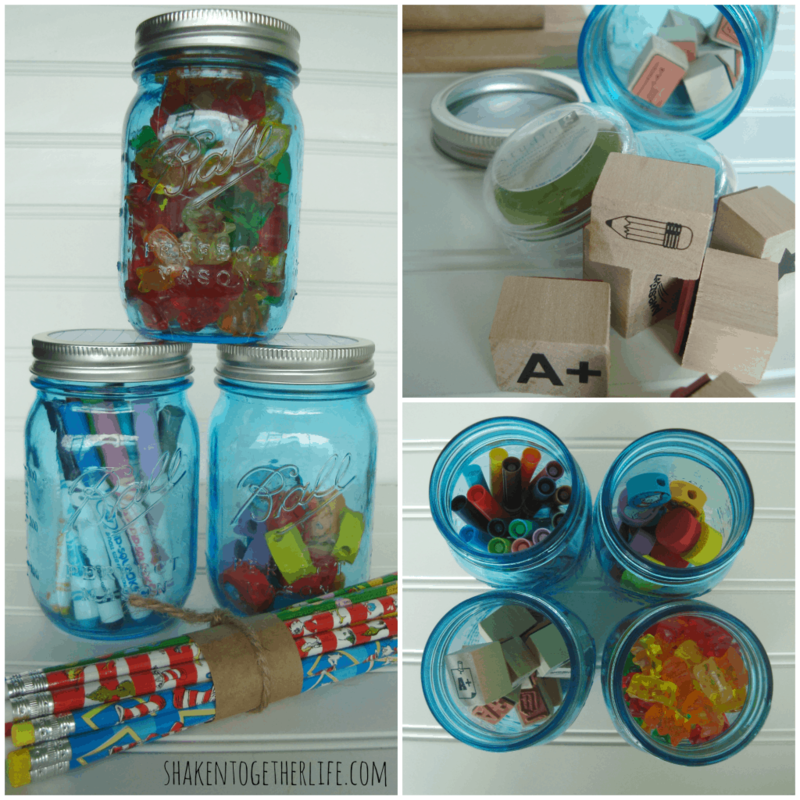 This is a perfect small supply station to keep organized during back to school days. It would also make a great teacher’s gift! I love this idea also for a hygiene kit for girls. Fantastic tutorial here. What a great idea to leave sweet messages to the kiddos. I love this so much! Back to school name t-shirt at The 36th Avenue. 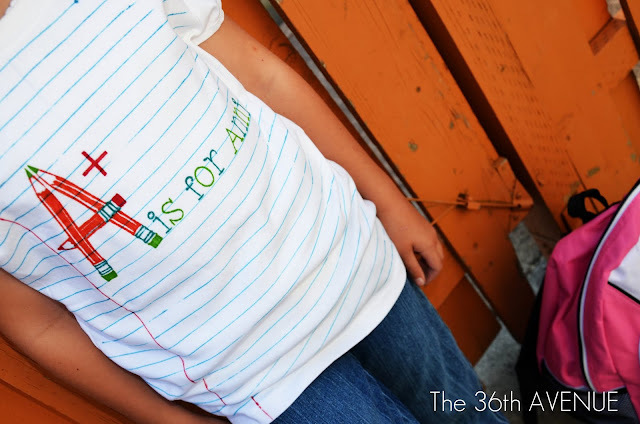 This is an easy back to school stenciled t-shirt. Kids love that their teachers know their names right away! 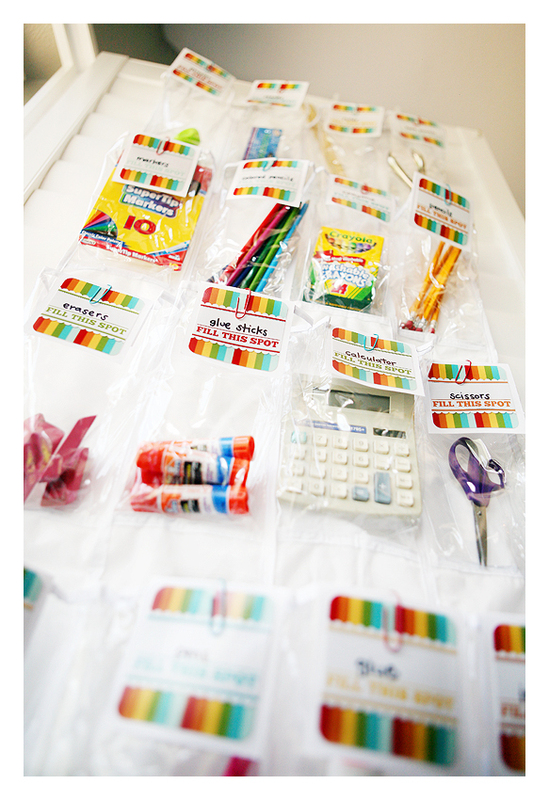 School supplies organizer by eighteen 25 via Simply Kierste. I love the free tag printables! This is a great tutorial that will save you a good amount of money during the school year. Here are three more of our own. I can speak by experience since we use these back to school charts every year in our own home. the kiddos learn responsibility and how working hard is rewarding. OK, I have four kiddos so to keep homework time organized is a big part of my own sanity. 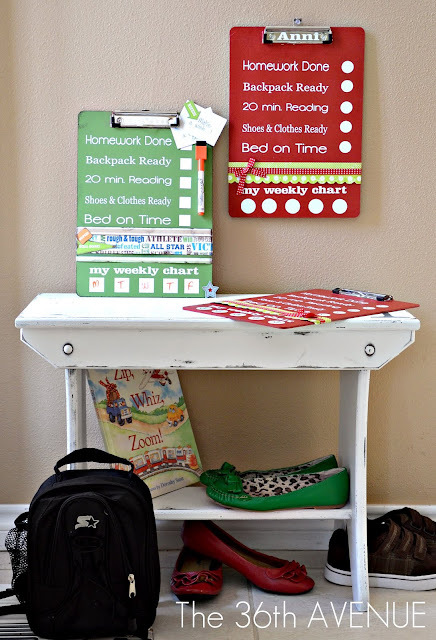 Last year I put together this magnetic homework station and it made all of the difference. You can find the supplies and how to get organized for homework here. 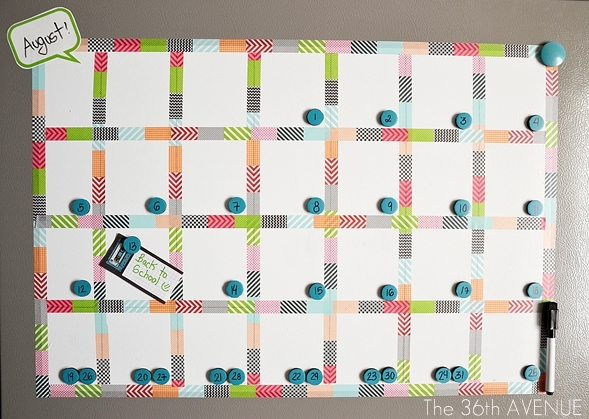 …and you can find here how to make the magnetic calendar. This is perfect for the side of your fridge. 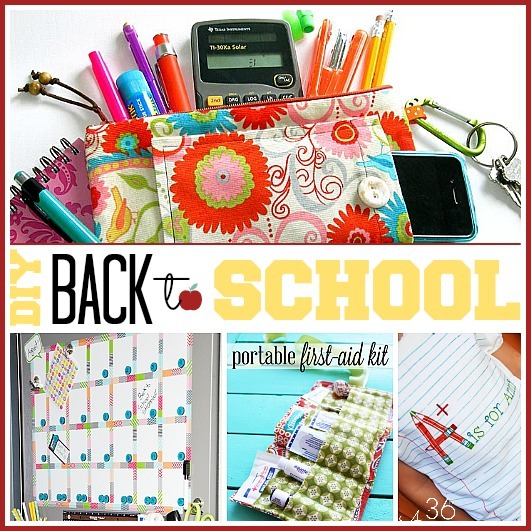 So there you have them 10 diy back to school projects to help us cope with the crazy busy days ahead. I hope you are having a great Summer and wish you all a wonderful week. 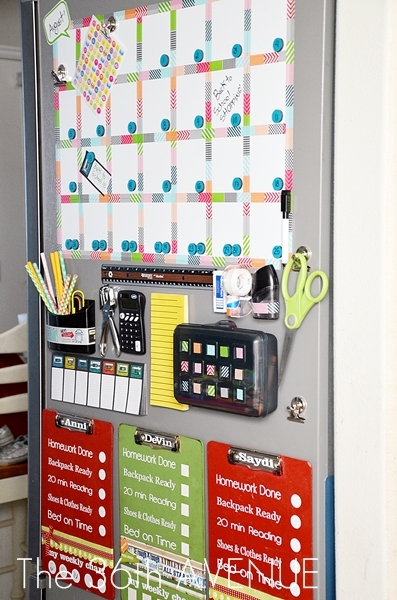 Love the Mod Podge desk organizer and the back to school charts! Thanks for compiling these. Wow, you’ve covered all the bases! Excellent projects here. Thank you! Oh this is such a fun time of year. I love the push to get more organized- that always makes me happy. 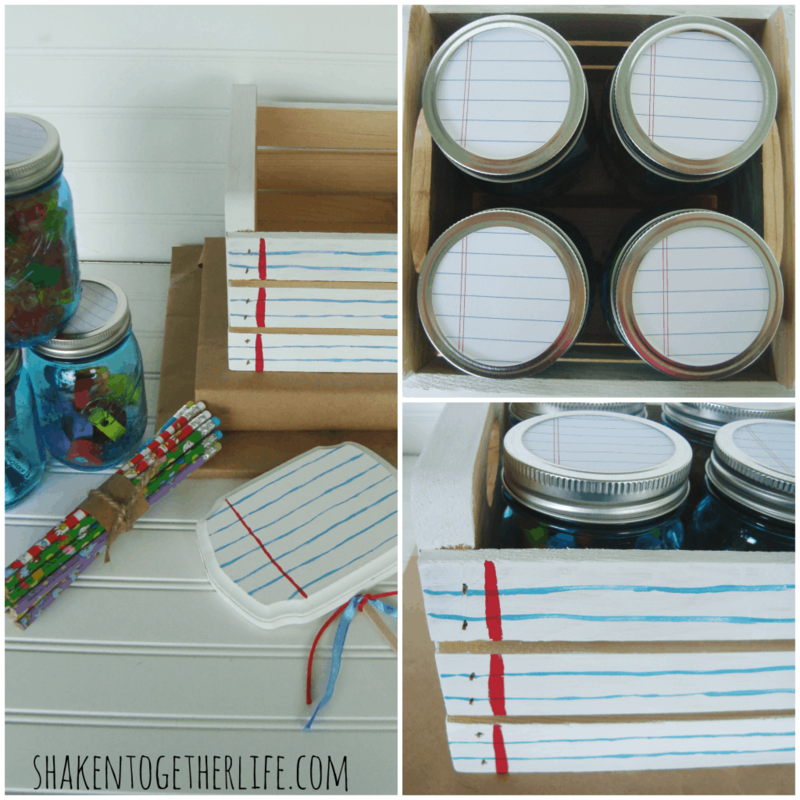 Desiree – thanks so much for including my mason jar caddies!! What a fun round up – we are two weeks out at our house and I’m just not ready for Summer to end either! I really love this idea! I love that you can move it around and take it to the place where the kids are doing their homework. Thank you so much for sharing and have a wonderful week.